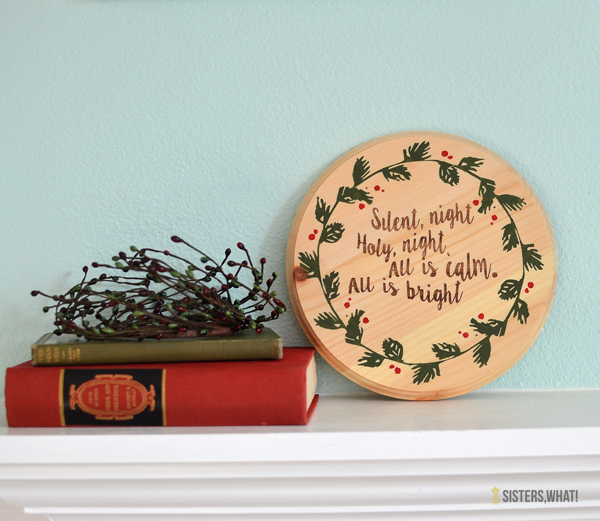 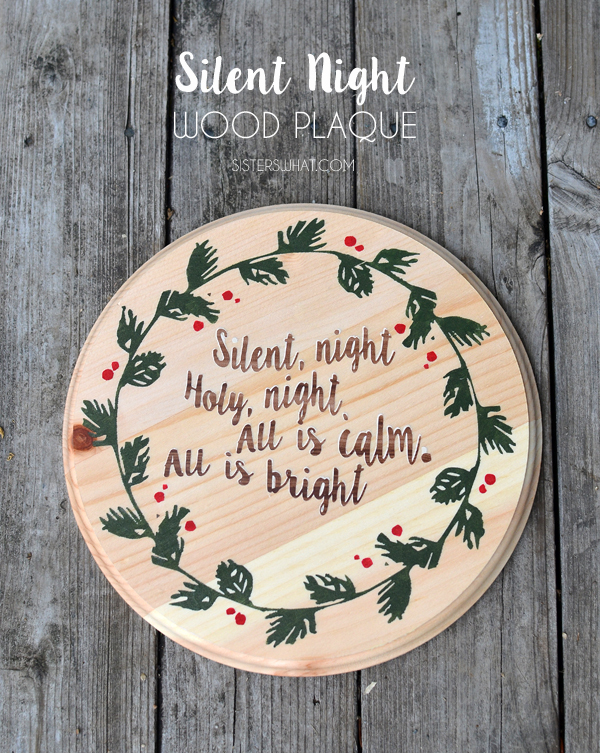 ' Silent Night Wood Plaque - Free Christmas Silent Night Printable - Sisters, What! 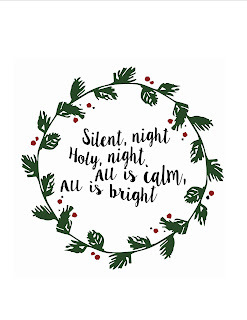 One of my favorite family traditions was singing a different Christmas song every night as part of our advent calendar. 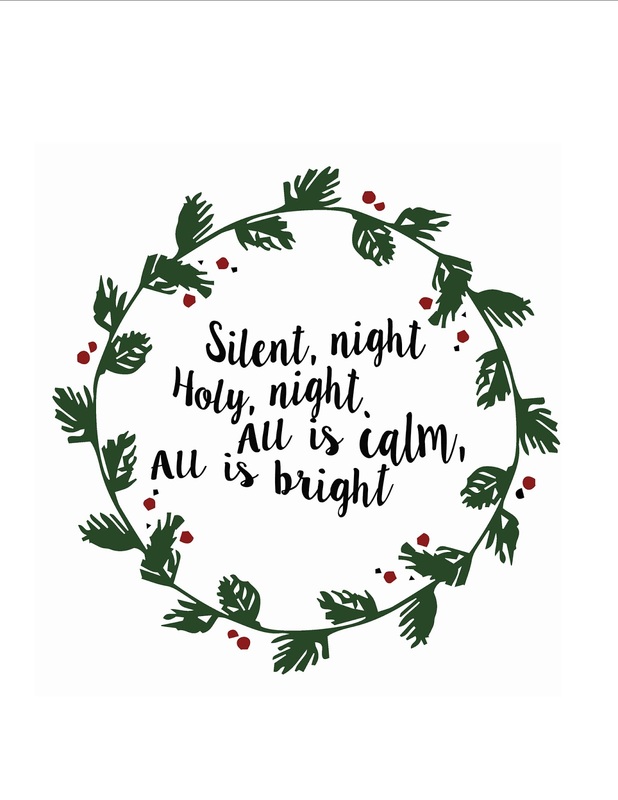 There is nothing better to get someone into the Christmas spirit than singing Christmas songs about the Savior. 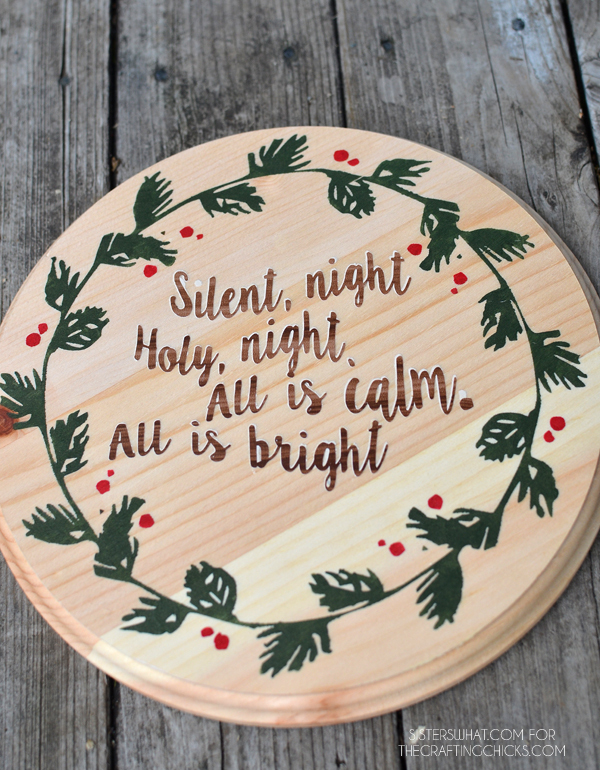 Silent night has always been my favorite Christmas Hymn. 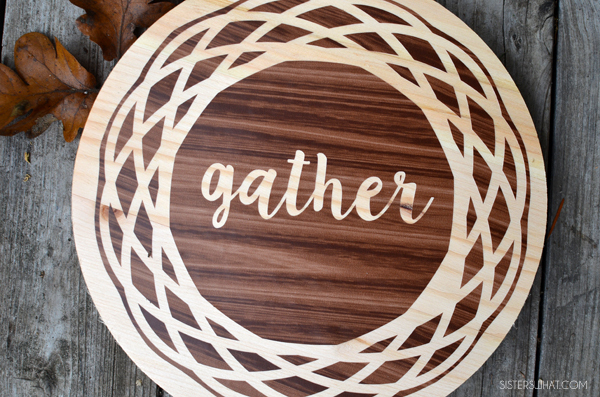 As a fall decoration, I made this wood gather sign and had this brilliant idea of putting a Christmas quote on the back of it. 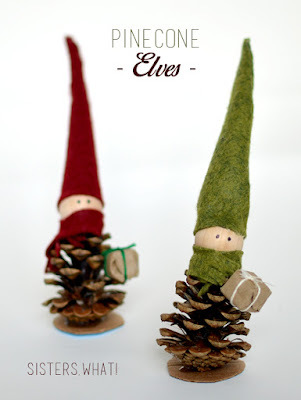 Therefore, it became two decorations in one! 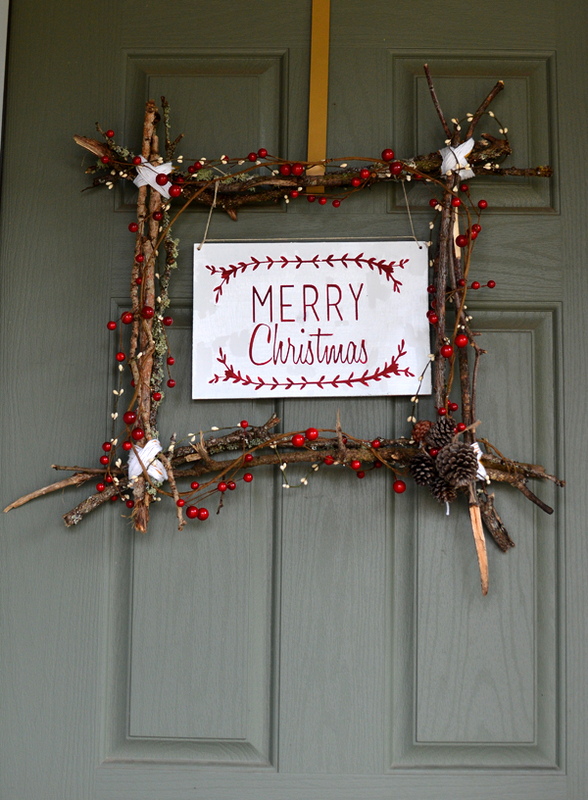 I just love it when I can double my decorations for more than one holiday; it makes for less things to store and simplifies things a little. You can find my tutorial on how I made the silent night sign over at The Crafting Chicks. 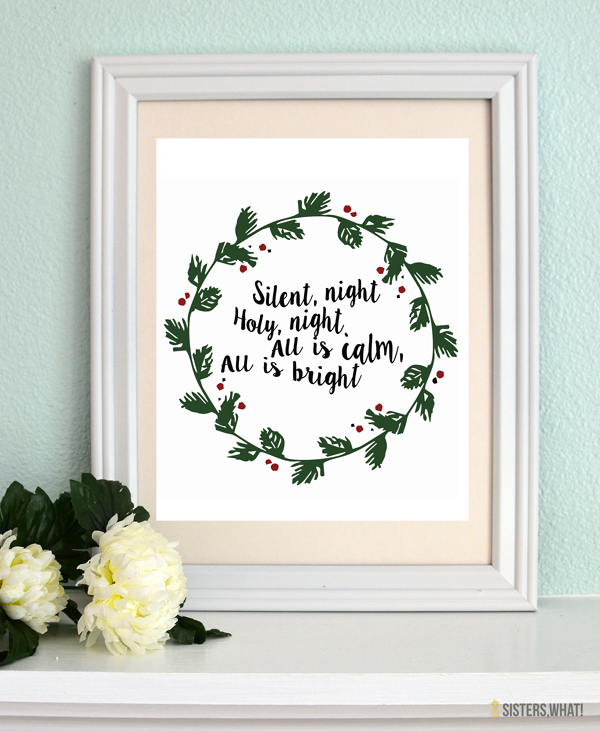 But below I included a special printable of the sign below.